The Cyprus EU presidency is coming to an end. 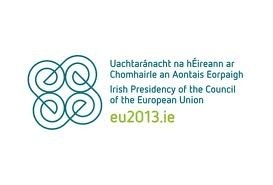 On 1 January 2013 Ireland will take over the rotating EU presidency. The Irish presidency is the first of a “Trio” of EU Council presidencies, with Lithuania and Greece to follow. Ireland’s seventh presidency coincides with the fortieth anniversary of Ireland’s accession to the EU. On 17 December the priorities of the Irish Presidency were stated to be banking supervision, an agreement on the EU budget and unemployment. Areas of focus will include the Digital Agenda for Europe and the Single Market. CEPI looks forward to the Irish presidency, and hopes that it will be fruitful and productive. The Irish presidency will work to effectively implement the Union’s new economic governance measures and in particular the European Semester process. Ireland will prioritise measures remaining under the Single Market Act I including the proposal for the modernisation of the Professional Qualifications Directive and will work to advance Single Market Act II proposals. It will also pursue a number of measures aimed at Small and Medium Enterprises, including improved access to credit, public procurement opportunities and research funding.